If I had to put together a perfect gift for her, it would have a combination of beauty, lifestyle and fashion bits thrown into the mix and today I am sharing just that. I will continue with some gift sets, stocking fillers and an electrical gift guide this weekend, but here is a little selection of a few lovely things you might like. Let's start with this stunning fragrance gift set. 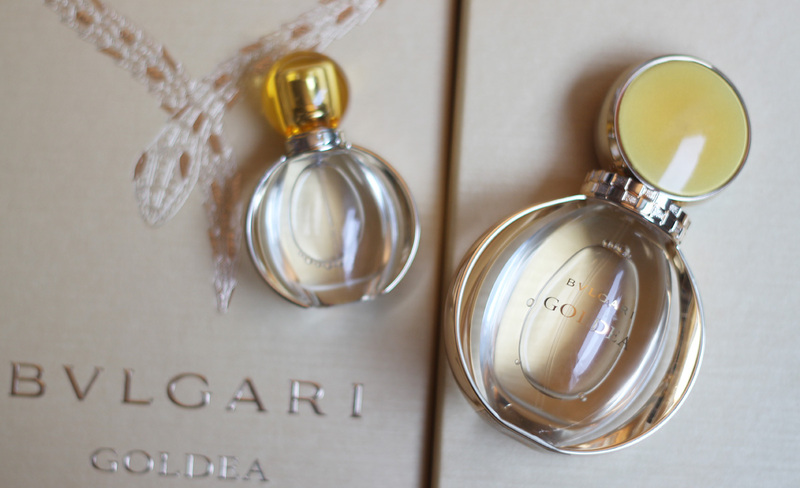 It's the Bulgari Goldea*(£74.00) from Escentual, who currently have 15% off Bulgari, so you can get this set for £62.90! I love the fact that you get two bottles of the EDP (50ml and 15ml), as I very rarely use body creams or shower gels that come with perfume, so this is perfect. Having a tiny bottle is just what I need, as I love keeping one in my handbag when I am out and about. 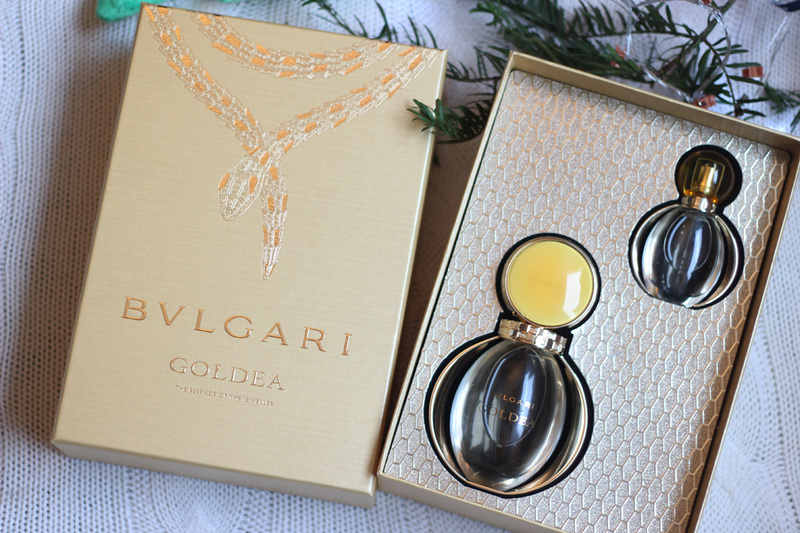 Inspired by light and gold, Goldea is a very feminine scent, combining floral and oriental notes. It features raspberries, bergamot, orange blossom, jasmine petals, golden patchouli and Egyptian papyrus. I adore the packaging and the bottle design as well. So glamorous and luxurious! Also from Escentual, we have a perfect stocking filler for a skincare addict - the Caudalie Vinosource Cracker*(£9.99). First of all, how lovely does it look? So pretty! No need to wrap it, as it's ready to gift. Inside you get three minis: Vinosource Moisturizing Sorbet (10ml), Vinosource SOS Thirst Quenching Serum (10ml) and a Moisturizing Mask (15ml). Such a fab little set and great value for money. A beautifully scented candle is a must and I love receiving them for every occasion. This ROX Luxe Champaca and Rhum Candle*(£35.00) is to die for and smells incredible. It reminds me of the Nuxe Spa candle, which I am obsessed with. It combines Davana, Jasmin and Cassis and I can't stop smelling it. 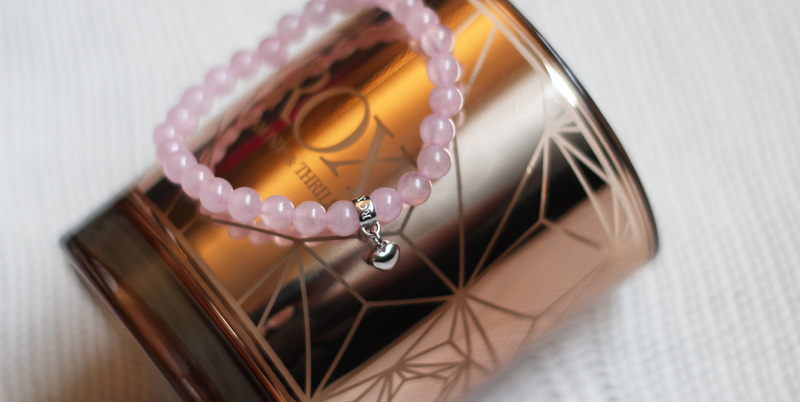 Also from ROX, we have this lovely Bracelet*(£35.00) with a gorgeous heart shaped charm. I can't find it online, but here is a similar one, in black. It comes in a luxury gift box with a ribbon as well, which is fab! 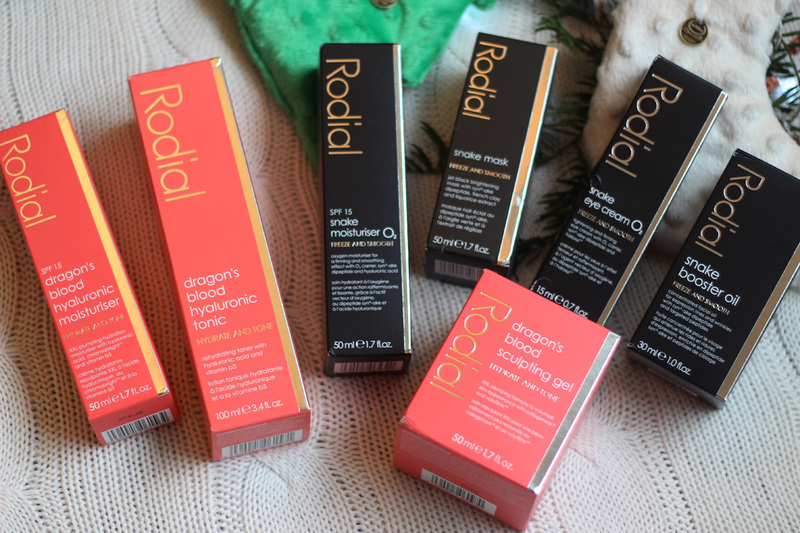 Onto skincare, I am trying out some new bits from Rodial, so I thought I would share, as skincare is a fantastic gift if you know the person well. The Dragon's Blood range* is ideal for treating loss of elasticity, dehydration and sensitive skin, so I would happily gift it to anyone. Quite universal, as you can't go wrong with products that smooth, plump, hydrate and sooth the skin. The Snake range* is for those concerned about expression lines, smoothness and any deep line wrinkles. That's actually me, as I am paranoid about my forehead wrinkles and the lines around my mouth! The 'snake' products contain SYN®-AKE dipeptide which mimics the effect of venom from the temple viper for a smoother complexion. Anyone who loves anti-ageing products will be very pleased to find these under the tree this year. 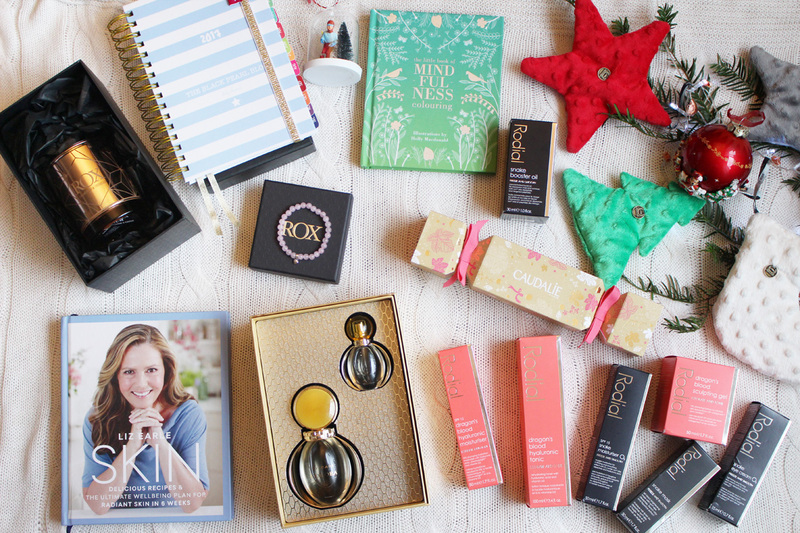 Christmas wouldn't be complete without some lifestyle gifts and these are just fabulous! I am absolutely obsessed with my 2017 Planner* from www.uniqueplanners.co.uk. You can customise it however you wish and it is absolutely beautiful! I will be reviewing it in a separate blog post when I actually start using it. You can use my code: BLACKPEARL15 for 15% off your order. Next, we have The Little Book Of Mindfulness Colouring Book*(£8.99). It is beautifully illustrated by Holly Macdonald and it features lovely quotes too. You can order it on Amazon. 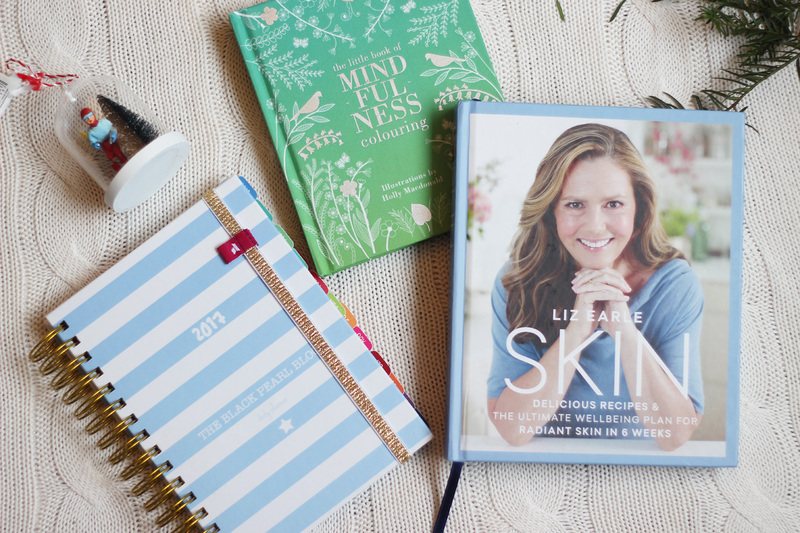 Another thing you might want to pop into your Amazon basket while you're there is the SKIN Book* by Liz Earle. A perfect gift for anyone who loves looking after their skin and body and wants to find out how to treat it better. Full of tips and amazing recipes for glowing skin! Can't recommend it enough and it's only £7.00 for a hard cover. Last but not least, pop into John Lewis for some beautiful baubles! My little Glass Cloche Skier Bauble isn't listed online, but I fell in love with their decorations. They are pretty special.